Alfacafé is a friendly café in the village Bakkagerdi in Borgarfjordur eystri. Try our famous fish soup ar the irresitable waffels with whipped cream and fresh berries. 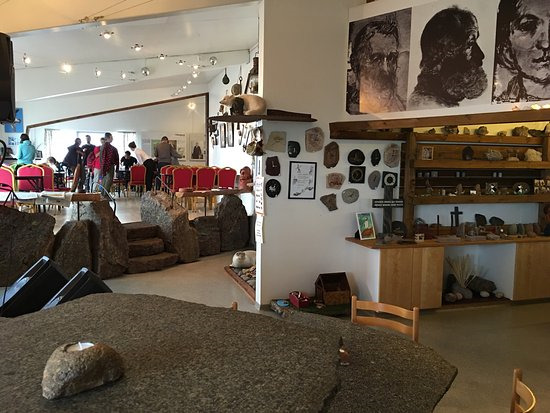 There are artefacts made from local rocks on display. Next door is the local fish factory and you may just be allowed to peak inside. 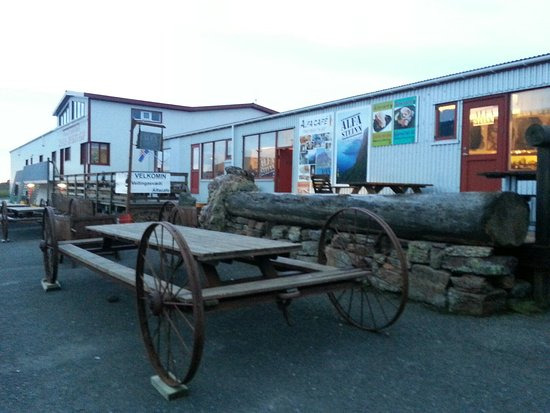 "Stopped in after a long hike through the Stórurð region (which is amazingly stunning!). Our group was starving and all ordered the fish soup or goulash which comes with bread, tea, and coffee. The young guy working was great and friendly. The food was incredibly good and we all ate until very full. Went back later for dessert and went back the next day for food again. There are very few items on the menu, which is really nice as everything we have tried seems homemade, authentic, and excellent! 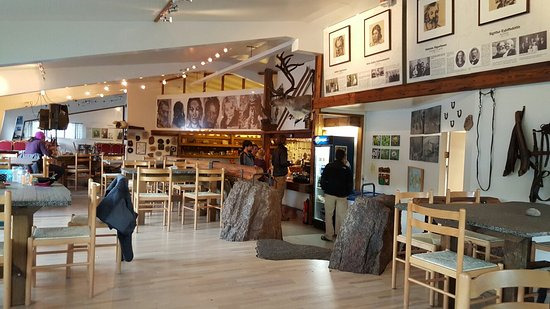 Wish we could take this cafe with us everywhere through Iceland..."